Single acting telescopic cylinder -series A.
Telescopic cylinders single effect series A. Applied in the center of the platform. 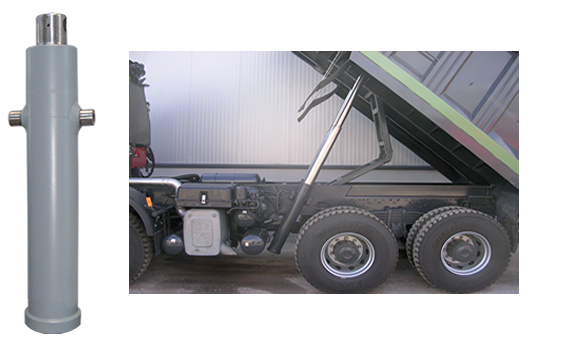 For small tipping vehicle and agricultural platforms up to 7m. Cylinders with 2-5 stages with strokes up to 2100mm and for total tipping load up to 9,5 tn. 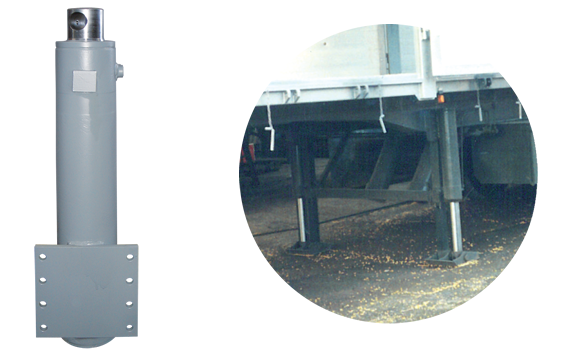 Single acting telescopic cylinder -series C.
Telescopic cylinders single effect series C.
Applied in the center of the platform outside of the chassis. For medium, large tipping vehicle and semi trailer up to 10m. 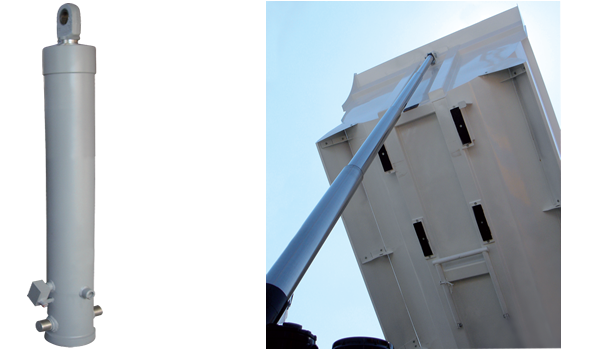 Cylinders with 2-3 stages with strokes up to 3000mm and for total tipping load up to 45 tn. Single acting telescopic cylinder -series D.
Telescopic cylinders single effect,long stroke, series D.
Applied in the frond of the platform. 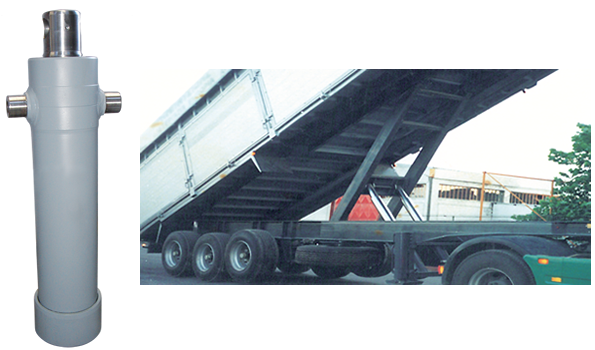 For medium, large tipping vehicle and semi trailer up to 12m. 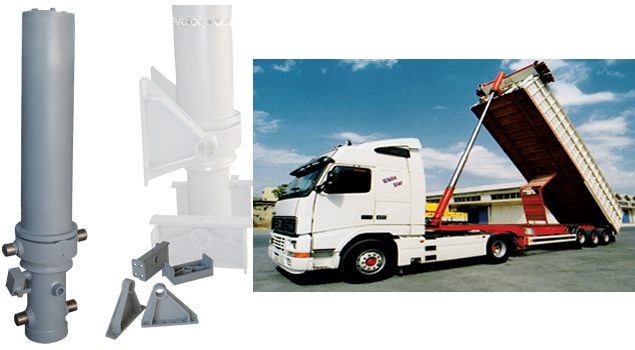 Cylinders with 3-5 stages with strokes up to 8500mm and for total tipping load up to 40 tn. Single acting telescopic cylinder -series E.
Telescopic cylinders single effect, long stroke, series E.
Applied in the frond of the platform. For medium, large tipping vehicle and semi trailer up to 12m. Cylinders with 3-5 stages with strokes up to 8500mm and for total tipping load up to 37 tn. Single acting telescopic cylinder -series F.
Telescopic cylinders single effect, high working pressure, series F.
Applied in the center of the platform with lever. For medium, large tipping vehicle and semi trailer up to 11m. Cylinders with 2-3 stages with strokes up to 1800mm and for total tipping load up to 35 tn. 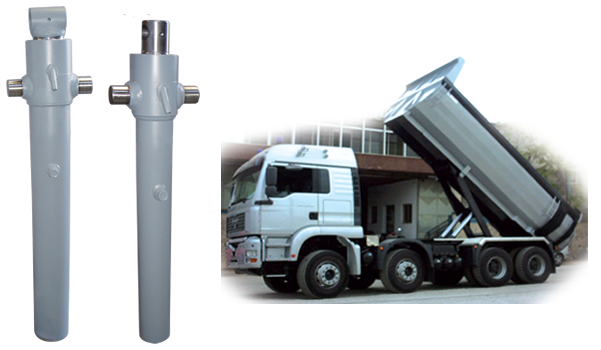 Double effect cylinder -series G.
Cylinders double effect standard and B-T-O in every dimension and stroke for semi trailer and crane stabilizers. Cylinders single effect, high working pressure, series H.
Applied in the center of the platform with lever. For small, medium, large tipping vehicle and trailer up to 7m. 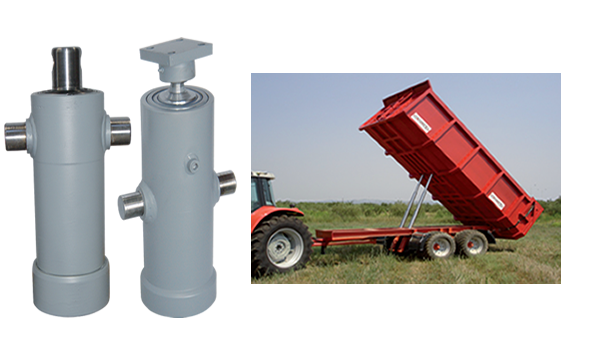 Cylinders with one stages with strokes up to 1125 mm and for total tipping load up to 27 tn.